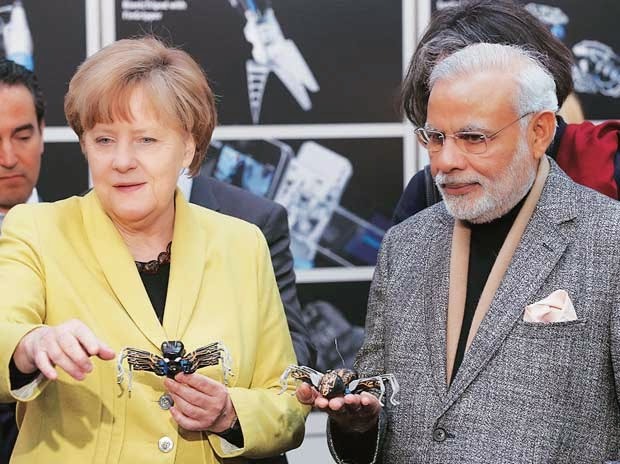 Modi's pitch for attracting foreign investors to boost his 'Make In India' initiative came at the inauguration of the Indo-German Business Summit at the Hannover Fair where he and Chancellor Angela Merkel opened the India Pavillion. "Make in India is a need...We are confident that our journey to make India a global manufacturing hub cannot be stopped, that too, by our own rules and regulations. We must and will make corrections wherever (they are) required," Modi said to the cheers of the gathered audience that included top chief executive officers of companies in both the countries. "Once again I invite you to India. I assure you of my personal attention in your success while you are in India," he said.